Love In the Language of Yarn and Education : Just 3 Little Squares! Syria has suffered its deadliest month so far in the two-year conflict, with more than 6,000 people killed in March, a third of them civilians. Almost 300 children died, taking the number of children killed in the conflict to around 4,390.As Syria's civil war continues unabated, thousands of children have fled across the border, terrified and desperate for safe refuge from the spiraling violence. Humanitarian needs are at critical levels inside Syria, with more than 4 million people in urgent need of relief. We at 'Lily' Love In the Language of Yarn are trying to reach these children and bring them a little comfort and wramth. You can help us with just three 8inch squares. Any spare wool you have can be knitted, crocheted or woven into eight inch squares and then we'll stitch them all together into a blanket. No waste and a child with nothing gets a warm and colourful, cover for their bed! 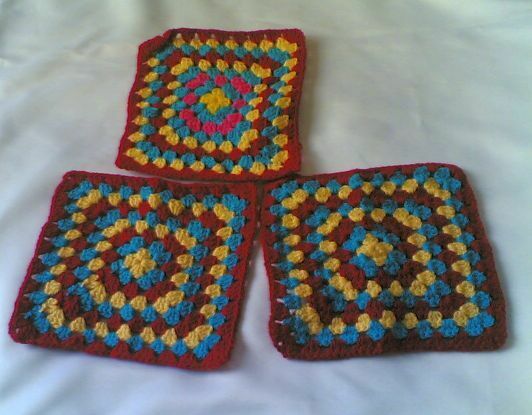 Your lovingly made square will send a message of concern and hope to these refugees. Your participation is important.! I realise the cost of sending items by post especially to Turkey can be costly which is why we launched this 3 square appeal. PLEASE spare a thought for the Children of the Syrian refugees and if you could knit or chrochet just 3 squares they would fit easily into an envelope and postage shouldn't be too great, or if you prefer to donate a small amount (3tl which is equivelent to 1pound sterling or 1.70 us dollar) then we'll buy the yarn and knit 3 squares for you. Cool colors and textures in that first shot especially. Enjoy looking at the knitting. Thanks. 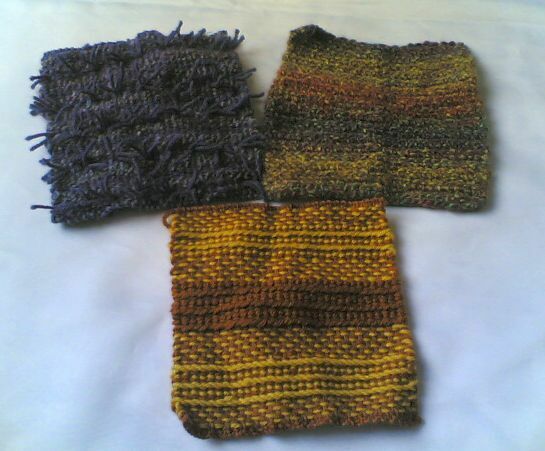 The first shot are squares woven on a loom by a lovely gentleman in USA.